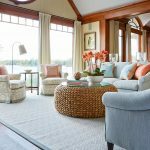 I love a homeowner who isn’t afraid of bold color! 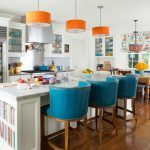 Indiana-based Martin Brothers Contracting worked with custom cabinet maker The Design Studio and interior designer SP Interiors on this colorful kitchen remodel photographed by Marie Martin Kinney. 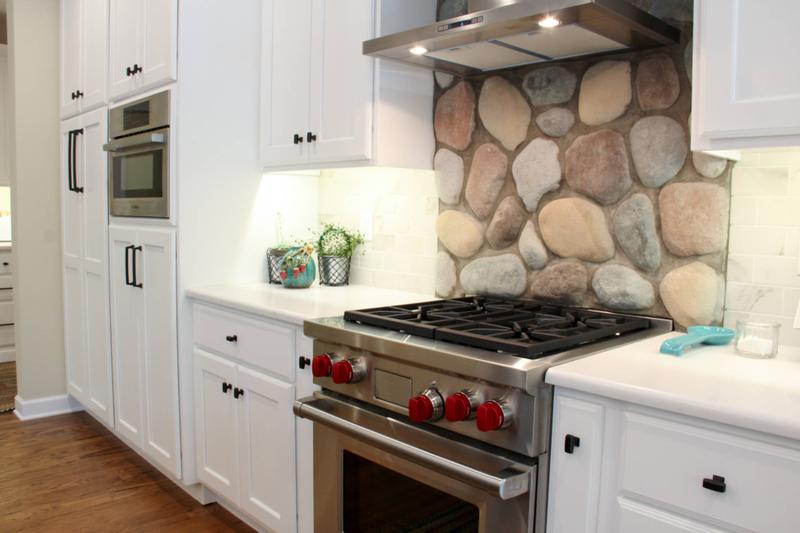 They brought a tired kitchen out of the 80’s and gave it a totally fresh new look! 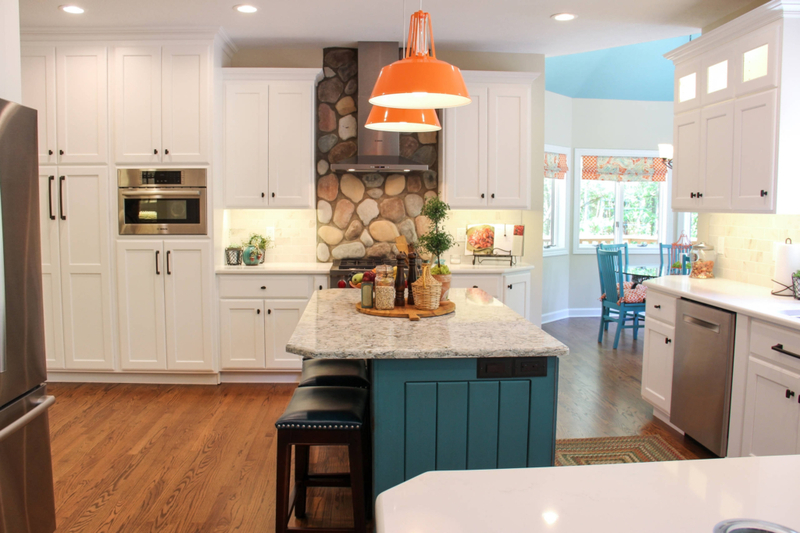 The rustic glazed turquoise island adds a big dose of color into the space, and is perfectly balanced out by the crisp white perimeter cabinets. 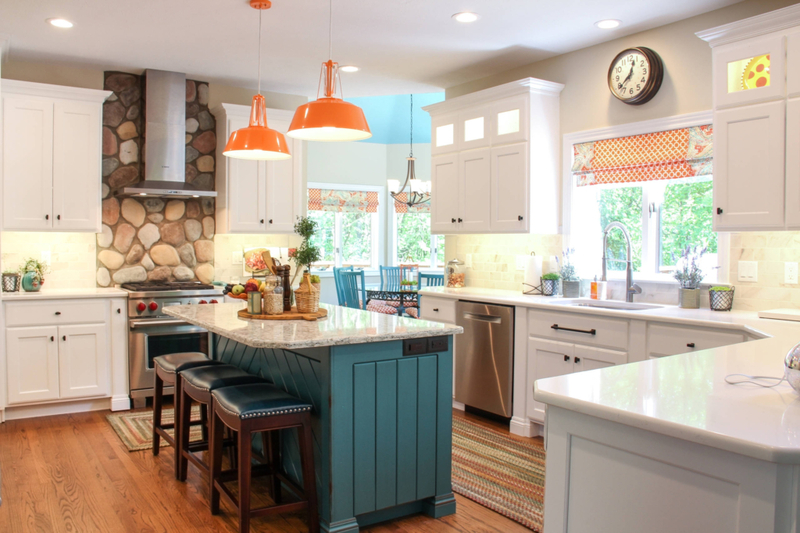 The splashes of orange really make the space though…talk about cheery! 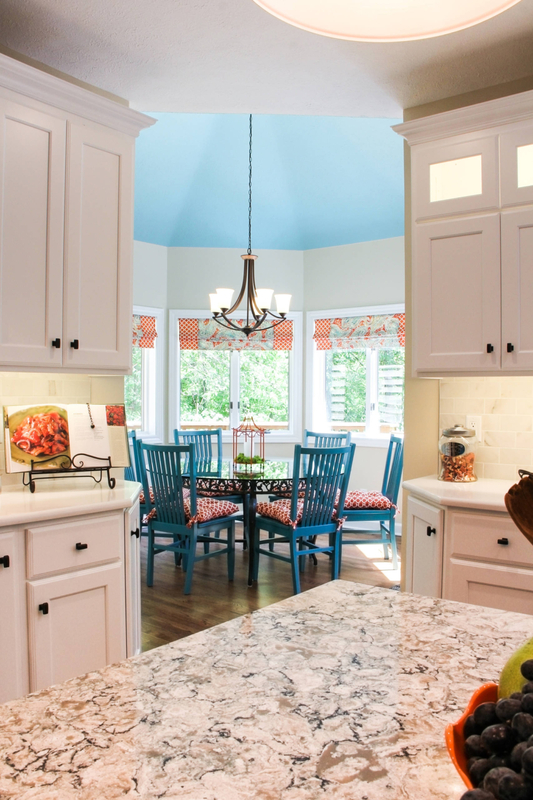 Goes to show you can’t go wrong when using complementary colors! 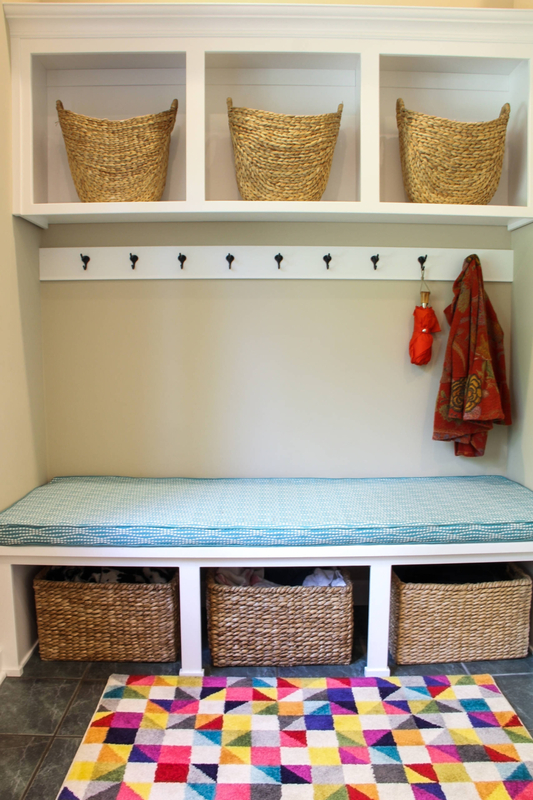 See more inspiring pics, learn sources and check out ‘before’ shots right over here! Thank you for featuring our project. 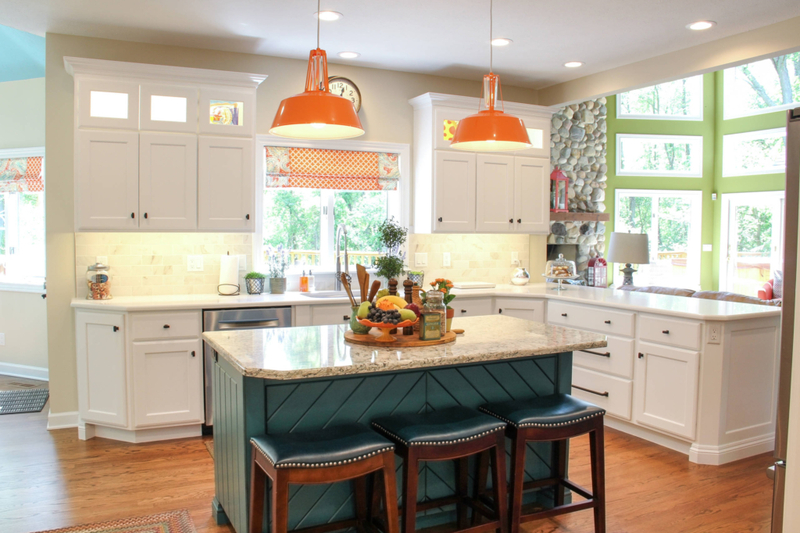 I’m loving the turquoise with orange. So bright and cheerful. What a fun and colorful project! I am sure the client is delighted! Thanks for featuring a project from our area! 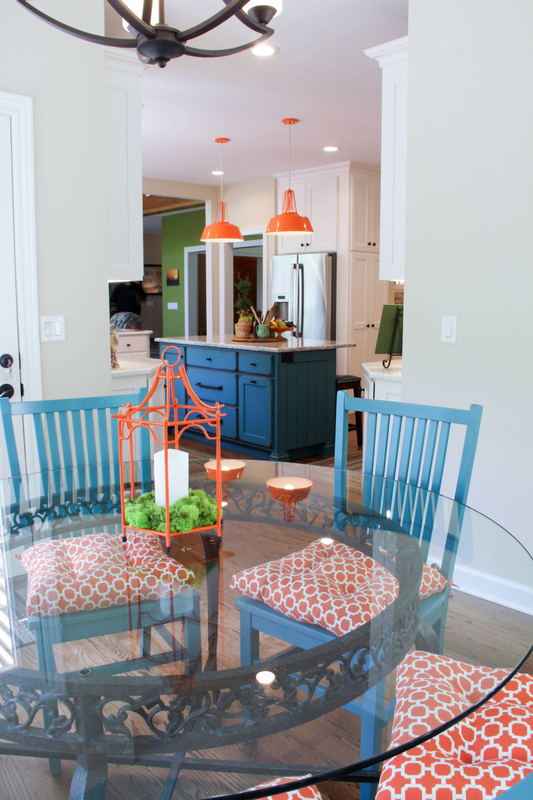 I love that orange pedestal fruit bowl on the island! 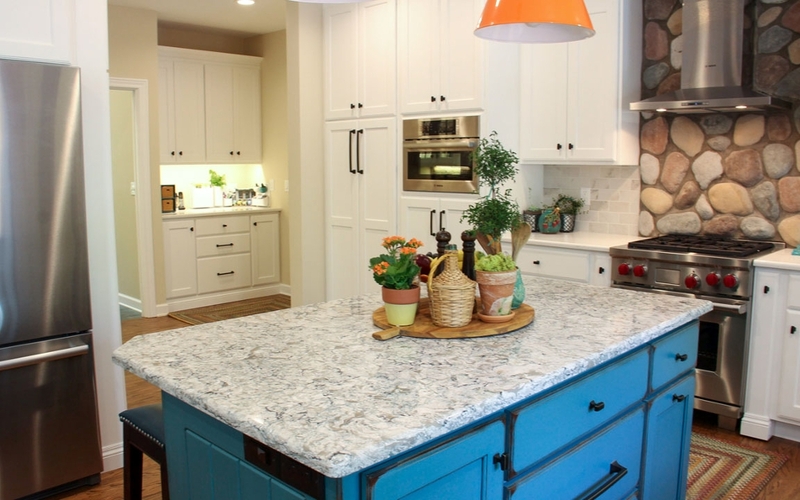 I am in love with the granite countertops. This was a great choice for the atmosphere.